Here is a quick peek at one of the shirts we’re working on over at SlantShirts.com. Come pay a visit to SlantShirts.com! We’re working on all sorts of goofy stuff for SlantShirts.com! Just wanted to let everyone know that we’ve recently launched our own Tee Shirt company called SlantShirts.com, and we couldn’t be happier! This new endeavor will allow us to have the freedom to go in all sorts of directions with our designs. We’re putting our favorite designs on high quality shirts and we are thrilled with the results. We’ll be edgy and take some chances, so hopefully you’ll find something you like. Please come and pay us a visit at SlantShirts.com! Visit SlantShirts.com often. We’re updating our shirts every few days! The Tampa Bay Buccaneers look playoff worthy. Dallas Clark defies his age. The Tampa Bay Buccaneers are starting to look and talk like a legitimate playoff contender. The Bucs had to work a little extra to keep their playoff surge alive Sunday. Josh Freeman threw a 15-yard touchdown pass to Dallas Clark in overtime to cap the Buccaneers’ 27-21 comeback win over the Carolina Panthers . It was Freeman’s third touchdown pass of the game for the Bucs (6-4), who have won five of their last six to pull into playoff contention. He just continues to pile up points. Robert Griffin is the King of Fantasy Football. I’m tired of talking about Robert,” said Santana Moss, who leaped between two defenders and fought his way into the end zone for the 61-yard score in the third quarter. “Nothing’s going to change; Robert’s going to go out there and be special. That’s the gift that he has, he’s a special guy. He brings that kind of ‘specialness.’ I don’t know if that’s a word, but he brings it to our offense. Can Brandon Marshall Be Stopped? Brandon Marshall of the Chicago Bears is having a pretty good year. Brandon Marshall had 3 touchdowns against the Titans last week. Chicago Bears wide receiver Brandon Marshall produced more in eight games than the club got all last season at the wide receiver position. His 59 receptions for 797 yards and seven touchdowns are more than any Bears receiver totaled last season. But Houston Texans defensive coordinator Wade Phillips sounds like a man driven to contain Marshall Sunday night when the 7-1 teams meet at Soldier Field. “We (will) double cover him every play,” Phillips said today in his press conference in Houston. “That’s our plan. We’re going to double cover him every play, so see what happens. Redskins Throwbacks Or Throw Ups? The throwback helmets worn by The Washington Redskins looked weird. Robert Griffin III probably won't look like a throwback player. Unveiled earlier this year, the Washington Redskins will finally wear their 80th anniversary throwback uniforms in Week 9 against the Carolina Panthers. The uniforms are designed as a modernization of the team’s 1937 uniforms, which was the year the Redskins moved from Boston to Washington, D.C.
Will DeMarco Murray’s Foot Ever Be Better? DeMarco Murray has been missing from the Dallas Cowboys for weeks. DeMarco Murray HAS NOT signed an endorsement deal with Dr Scholls. The Cowboys owner, in the wake of his team’s 19-yard rushing total against the Giants, said he was “encouraged” about the possibility of Murray’s return. Murray, the Cowboys top running back who has missed the last two games with a ligament-damaged sprained left foot, had not been cleared to return to practice Monday. “We’ll just have to see,” coach Jason Garrett said at his daily news conference when asked about Murray’s status. “It seems like he’s moving around a little bit better. “Again, that’s an injury you have to be patient with,” Garrett said. “We don’t want to rush him back then take any backward steps. We’ll see how he is day by day this week. CJ Spiller of the Buffalo Bills has played like a superhero. It's a bird, it's a plane, it's CJ Spiller. The former first-rounder out of Clemson University has only been seen in flashes, and perhaps less than Bills fans would like to see after the production he put up in Jackson’s absence. His speed and catching ability out of the backfield make him a threat to score from anywhere on the field. He is one of the fastest players on this Bills roster, and give his young age, 25, he is still in the prime of his career as a running back. Is Julio Jones The Next Great One? RG3 runs like Road Runner. No, let’s do get carried away! A kid like this comes along every other pyramid. 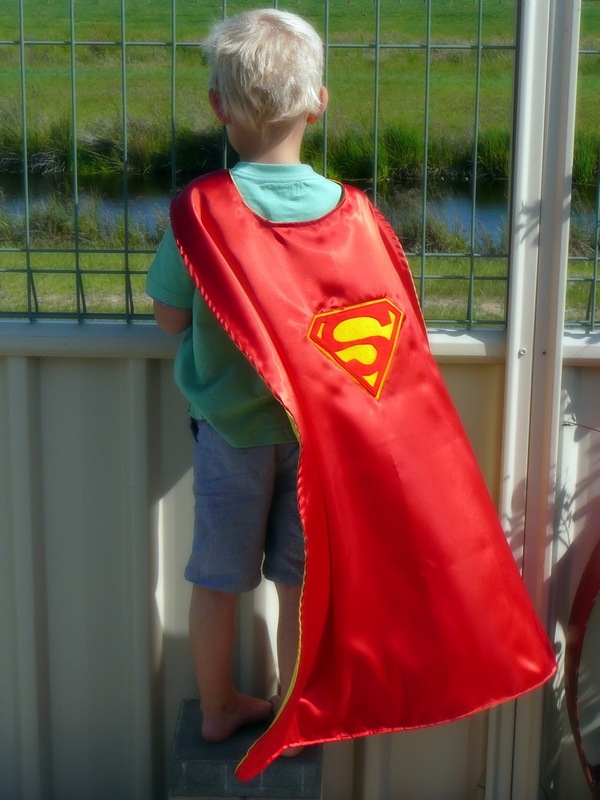 He’s bright, charming, humble, fast, likable and, like any good superhero, afraid of nothing. He threw a chop block on Saints safety Roman Harper on Sunday and then hopped up in Harper’s face, ready to stand his ground, when Harper took offense. He’s younger than pants many of you are wearing — the first QB born in the 1990s to start an NFL game — and yet he leads the NFL in passing. Red Sox manager Bobby Valentine is under fire. Bobby Valentine might find himself on a Tarnation Sports T Shirt if this keeps up. As the Bobby Valentine Era barrels toward its inevitably disastrous conclusion, it is time to dispel with perhaps the season’s greatest myth: that Valentine is a victim. Yes, the players are mostly to blame for the club’s lackluster record. They’ll always be the primary reason a team wins or loses. That’s about as revelatory as saying oceans cause rain. But it’s time to put to rest the notion that Valentine is a blameless bystander in this season-long collapse, even though his supporters will undoubtedly use yesterday’s eye-opening Yahoo.com story as further proof that the inmates are running the asylum. Just wanted to let everyone know that we’ve officially partnered with TarnationSports.com and have started to design T Shirts for them! They use high quality American Apparel shirts. They screen print the designs. They basically just do everything the right way, and it shows in the final product. These really are the type of shirts that will last a long time, and we couldn’t be happier with the quality! Here is our tribute to Patrick Ewing, available on shirts now at TarnationSports.com. We’ll also be rampping up the activity here at Katchop as well, so there is some fun on the horizon. So if you have a spare moment, please head over to TarnationSports.com and check out the shirts. All of the shirts available at Tarnation Sports were designed by me, and any feedback you might have is appreciated! Josh Hamiltion had a great week. Josh Hamilton has been playing like Superman lately. The piece of lumber that Hamilton used to club eight of his nine home runs in the last week is headed for the Hall of Fame and its place as one of the most famous bats in baseball history. It’s up there with Shoeless Joe Jackson’s Black Betsy, George Brett’s pine tar bat, home-run bats from Carlton Fisk, Bobby Thomson and Bill Mazeroski and the fictional Wonderboy. Hamilton started using the bat on the Texas Rangers’ recent road trip and agreed to donate it to Cooperstown after he hit four home runs with it Tuesday night in Baltimore. But there was an asterisk on the deal – he wasn’t finished swinging with it yet. The end came in the seventh inning of the Rangers’ 13-6 victory against the Los Angeles Angels Sunday night – it broke on a flare single to left field, of all things. Not all that dramatic, but Hamilton drove in his 44th run of the season with the hit and the crack is minor enough that it will be displayed just fine. Marc Andre Fleury of the Pittsburgh Penguins let up a lot of goals against the Flyers. Marc Andre Fleury of the Pittsburgh Penguins isn't really a shooting training aid, he just played like one against the Philadelphia Flyers. Saying “Fleury wasn’t the only problem” does not address the concerns of the rational majority of Penguins fans who have argued, with full knowledge of the Penguins’ other glaring problems this postseason, that Fleury’s play was also atrocious. Even if we take into account Fleury’s calm two periods in Game 4 and a dominant third period in Game 5, his overall performance in the Flyers series was unacceptable by NHL goaltender standards, let alone by the standards of a supposed ‘clutch’ franchise goaltender making over $5 million a year. The Miami Marlins suspended Ozzie Guillen for making comments about Fidel Castro. How do you make a dictator sad? Suspend his favorite Miami Marlins manager. A chastened Guillen, who has a history of polarizing comments about gays and immigrants, among others, spoke without a script and made no disclaimers. He said he’ll do whatever he can to repair relations with Cuban-Americans angered by his praise of the Cuban dictator, remarks he said he didn’t mean. The Detroit Lions have recently seen their players get arrested for marijuana possession a total of three times. The Detroit Lions might want to speak with Nike about altering their logo. Detroit Lions defensive tackle Nick Fairley was arrested Tuesday in Alabama on a charge of possessing marijuana, authorities said. His arrest comes after Lions running back Mikel Leshoure was caught chewing marijuana during a traffic stop March 12 in southwestern Michigan. A police report said Leshoure was a passenger in a car stopped on Interstate 94 in Lake Township. The officer reported seeing him chewing marijuana and noticed small pieces on his shirt. Derrick Rose of the Chicago Bulls signed a 250 Million Dollar endorsement deal with Adidas. Adidas will pay Derrick Rose 250 Million to wear their shoes. Comcast Sportsnet initially reported the story early Saturday morning, saying that according to a source, Rose’s new deal was for 14 years and $250 million. Rose has been with adidas since he entered the league and has become a major face of the company. Knicks Lose, Oh The Humanity! Jeremy Lin had 9 turnovers in a Hin Lindeburg like disaster against New Orleans. At least Jeremy Lin showed his speed during the Lindenburg disaster. Jeremy Lin’s perfect record as the starting point guard for the New York Knicks ended with an 89-85 loss to the New Orleans Hornets, who entered the game with the National Basketball Association’s second-worst record. Lin had 26 points, nine turnovers and five assists as the Knicks’ seven-game winning streak came to an end. Lin started the last six of those victories. Trevor Ariza had 25 points for the shorthanded Hornets (7-23), while point guard Greivis Vasquez added 15 points and 11 rebounds with three turnovers. The Knicks (15-16) never led in the game at New York’s Madison Square Garden. They got within two points at 73-71 with 5:29 remaining in the contest, and could get no closer. Dion Phaneuf and the Toronto Maple Leafs are currently in a playoff spot. Dion Phaneuf of the Toronto Maple Leafs likes figure skating. 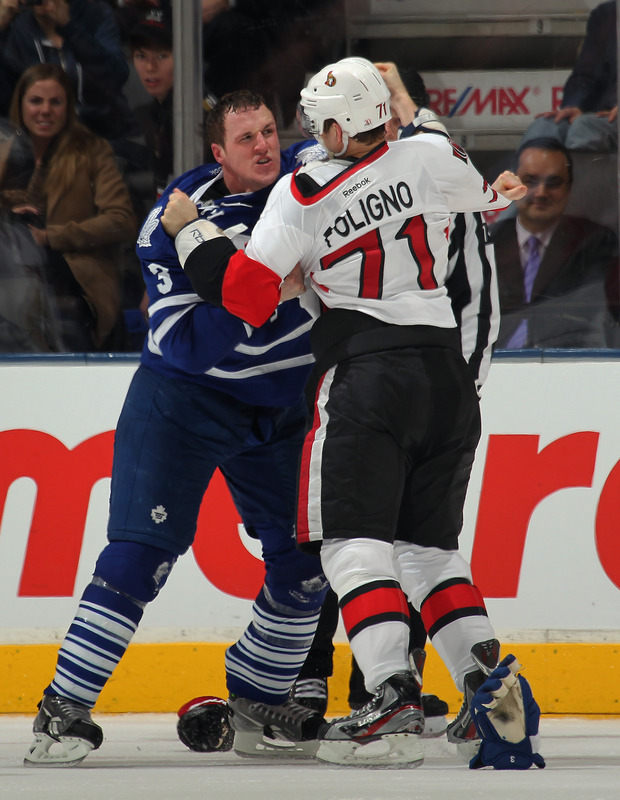 The Battle of Ontario is renewed, with Ottawa four points clear of the Leafs but having played two more games. A key stat for the Leafs to look at is the fact Ottawa ranks as the fifth-most penalized team in the NHL, averaging 13.2 minutes per game. That stat will be a factor if Ottawa doesn’t get it under control down the stretch. The addition of Kyle Turris has been a boost for Ottawa; the club can now ice two decent scoring lines, with Turris centring the second line and Jason Spezza the first. Milan Michalek is healthy after a lengthy injury layoff and the club has found a way to give goalie Craig Anderson a bit of time off (he had appeared in 22 straight games). 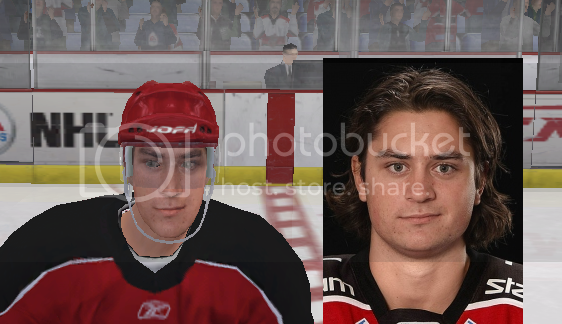 Ottawa was said to be in the Tuomo Ruutu sweepstakes, but it now appears he will re-sign with Carolina. Sens are not expected to be big players at the deadline; but there is a fine line there between improving the club, and sticking to the pre-season plan of continued development. They are, right now, the Leafs’ chief target in the standings. Fact: It is not possible to have Cable TV and be unaware of Jeremy Lin. Jeremy Lin is all over ESPN. The Knicks have been a hot story since the Christmas Day win over the Celtics. But the story got sizzling hot with Lin. Knicks fans have hope. At ESPN NY, we have beefed up our coverage with two reporters covering practices and three at games. The reporters blog throughout the day. We constantly search for angles and columns on Lin because this Linsanity is real. The Jeremy Lin legend continues to grow. 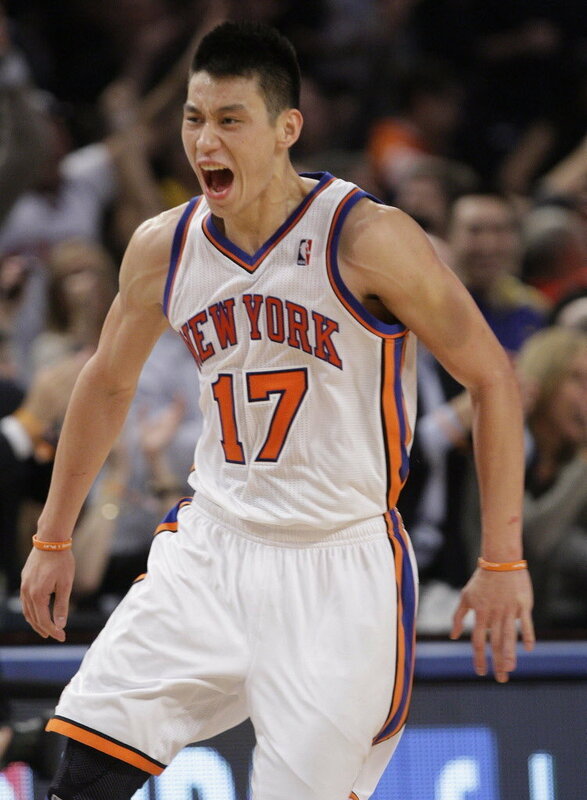 Jeremy Lin of the New York Knicks? 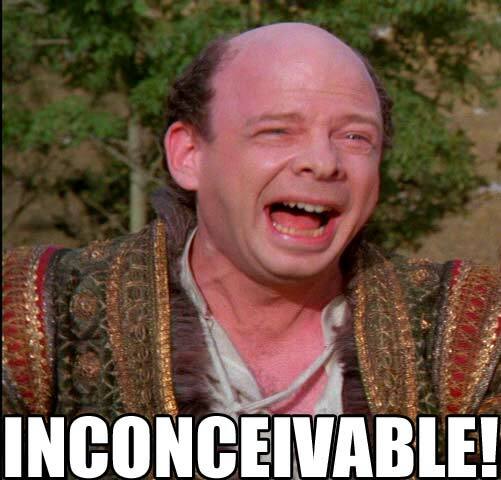 Linconceivable! The “Linderella’’ story grew again as Jeremy Lin sank a game-winning free throw with 4.9 seconds left that capped a wild Knicks comeback and an improbable 100-98 stunner over the Timberwolves at Target Center. The win extended the Knicks’ “Linning streak’’ to a season-high five games and capped a Saturday-to-Saturday stretch that’s one of the greatest in Knicks history. With the score tied at 98, an exhausted Lin tore down the lane one last time, got crunched by two Timberwolves, picking up the foul and won the game from the free-throw line. He also had the key pass on the game’s biggest basket — a game-tying 3-pointer from Steve Novak with 36.2 seconds left. 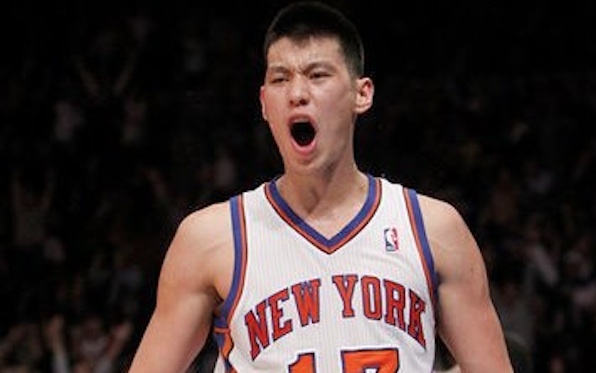 The New York Knicks seem to have an unlikely star in Jeremy Lin. Jeremy Lin displays Linsanity to every opponent who dares to enter the Garden. Two weeks ago, the 6-foot-3 Lin was not even part of the Knicks’ point-guard rotation, despite their lack of talent at the position. He played sparingly in a few games, showing just enough promise to keep getting another look— a few more minutes, another quarter. But there was never any hint of what was to come. Eli Manning may have finally put the ‘elite’ debate to rest. 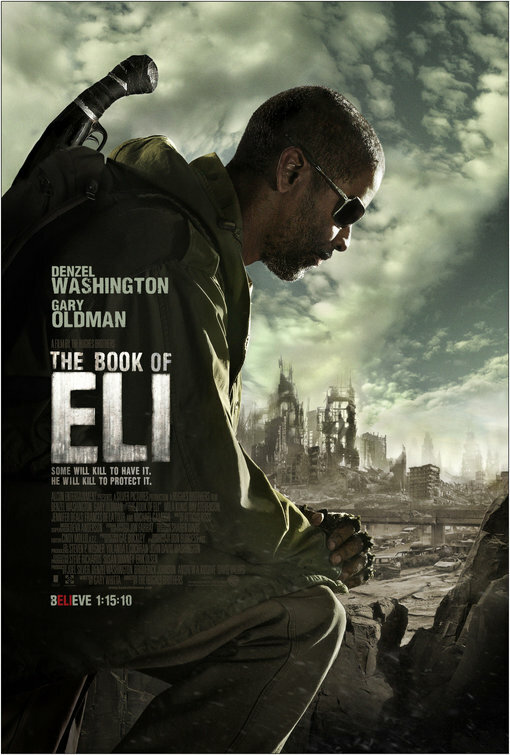 The Book Of Eli is a movie about Eli Manning destroying New England. Back in August, back before the season began, Eli Manning was asked whether he considered himself an “elite” quarterback a la Tom Brady. Manning replied simply that he belonged “in that class.” He was questioned and criticized for that, and — shocking, right? — it all became quite a big deal in New York. Hard to imagine anyone arguing about his status now. Perfect at the beginning, cool and calm on a closing drive to the go-ahead touchdown, Manning won his second NFL championship in a four-year span — and second Super Bowl MVP award, too — for steering the New York Giants to a 21-17 victory over the New England Patriots on Sunday night. The New York Giants are Super Bowl Champions. Again. The New York Giants are Super Bowl Champions. Giants fans partied like champions Sunday night as Big Blue beat the hated New England Patriots 21-17 in Super Bowl XLVI, an encore to their 2008 championship victory over Tom Brady and Co.
From the seats of Lucas Oil Stadium in Indy to the streets of New York City, the Giants faithful were delirious. “This is unbelievable,” said Victor Gonzalez, 30, who traveled to Indy to see his beloved Giants pull off the nail-biter win. Brady choked in the final minute of the game. Bill Belichick says the Patriots are ready for the Super Bowl, but some in the media do not agree. 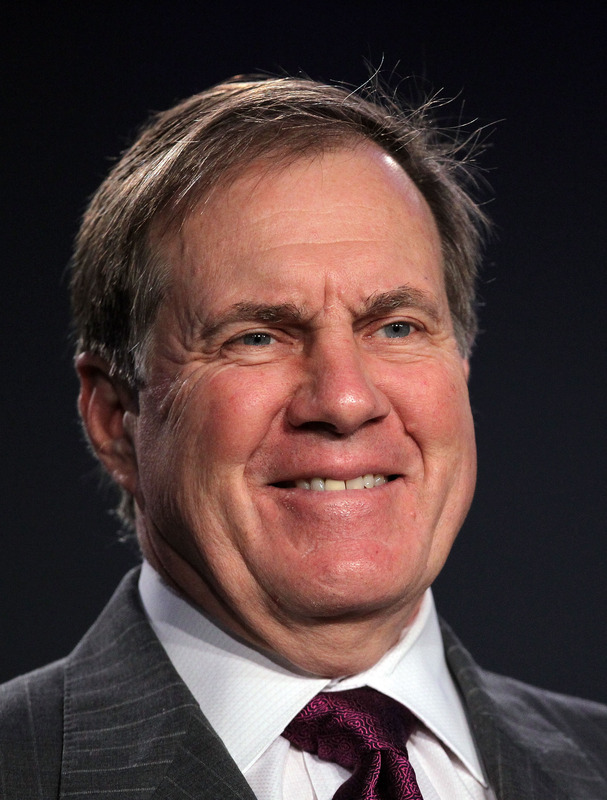 Bill Belichick will use demonic mind control on his players if necessary. How could Julian Edelman be his nickel cornerback in the Super Bowl? Nothing against Edelman. If I’m ranking the players in the Super Bowl, sort of like Prisco did earlier this week but with a different scale — ranking them not in terms of ability, but in terms of admirability — Edelman would be in my top 10. The guy is about 5-feet-9, weighs a buck-nothing and is playing a position for the first time since he was 12 years old. That’s impressive. That’s admirable. How does this happen to the Patriots? That’s what I need to know, even more than I need to know the answer to another question, which is: How much will Eli Manning punish Julian Edelman on Sunday? The New York Islanders will host a preseason game in Brooklyn next October. 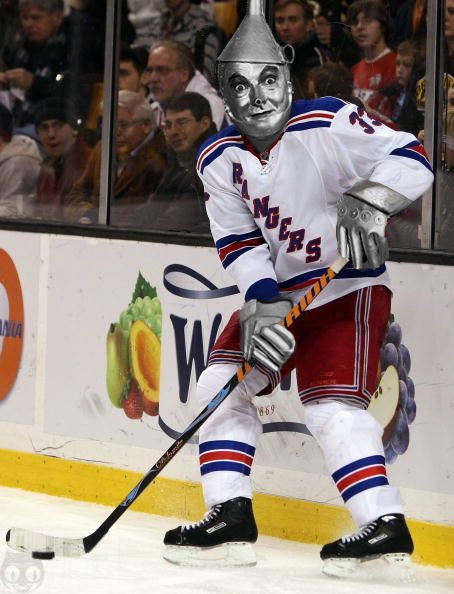 The NY Islanders will need a new logo if they wind up moving to Brooklyn. The Islanders and Brett Yormark, chief executive of Brooklyn Sports and Entertainment and the Nets, announced Tuesday that the Isles would play the Devils in an Oct. 2 exhibition at the new Brooklyn Nets basketball arena. The announcement serves as another shot across the bow of Nassau County politicians and voters, who have rejected every effort by Islanders owner Charles Wang to upgrade or replace Nassau Coliseum, the club’s 40-year-old home. Eli Manning and the New York Giants will face the New England Patriots in the Super Bowl. Again. Eli Manning is headed to Super Bowl XLVI. You might remember that Brett Favre was the leader in consecutive starts. And then that Peyton Manning took over that title. But you may not know that Eli Manning is the new leader among active players, at 119 games. Yes, he’s the N.F.L.’s iron man. And his durability was on display against a ferocious Niners defense on Sunday. He was sacked six times and hit many more. In some instances, he was simply mangled. The Texas Rangers have already signed Yu Darvish, and now they have their sites on Prince Fielder. 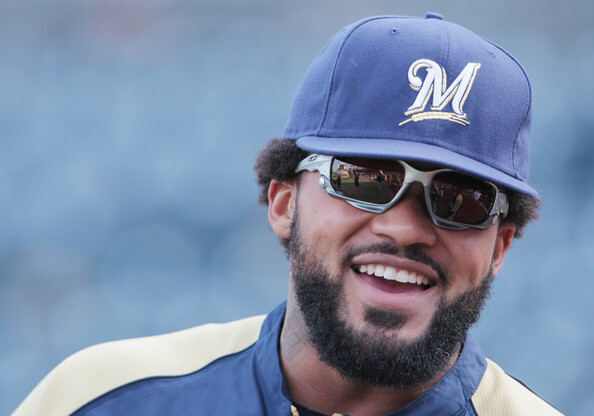 Prince Fielder thinks he'll look slimmer in a Texas Rangers uniform. They basically flipped C.J. Wilson for Darvish. Their lineup remains better than the Angels’, even with Albert Pujols in Anaheim. Their bullpen is deeper, though the ninth inning – Joe Nathan in Arlington, Jordan Walden in Anaheim – is sketchy for both. Imagine, then, what Fielder could do for the Rangers, for an already muscular offense, and then what the Rangers could do for Fielder. 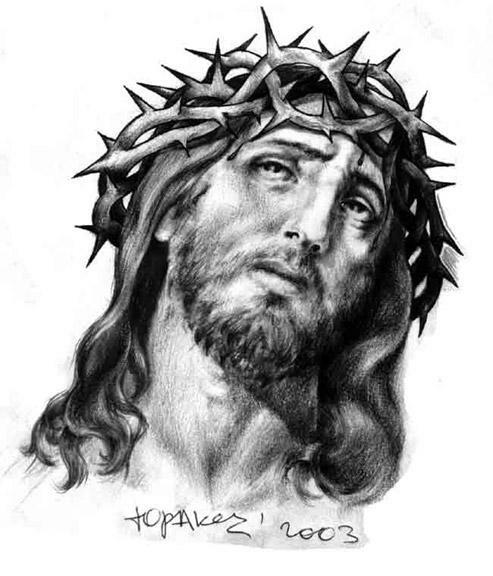 After all, he’s done his time in the market where everything must go right in order to contend. And he has his suitors in Seattle, Washington, maybe Chicago (North Side), Miami, Baltimore and Toronto. Through no fault of his own, it appears his timing is simply crummy. The Yankees and Red Sox are both set at first base and perhaps diving for the luxury tax threshold. Eli Manning and the New York Giants defeated the Green Bay Packers on Sunday. Eli Manning owns the Green Bay Packers. For the second time in four years, the Giants strutted away from Green Bay with a playoff victory, shocking the reigning Super Bowl champions 37-20 in the divisional round Sunday. Now they’re headed to the NFC Championship game in San Francisco next Sunday, bursting with confidence that they can win another road game and get back to the Super Bowl. Tim Tebow led the Denver Broncos to another miracle victory. 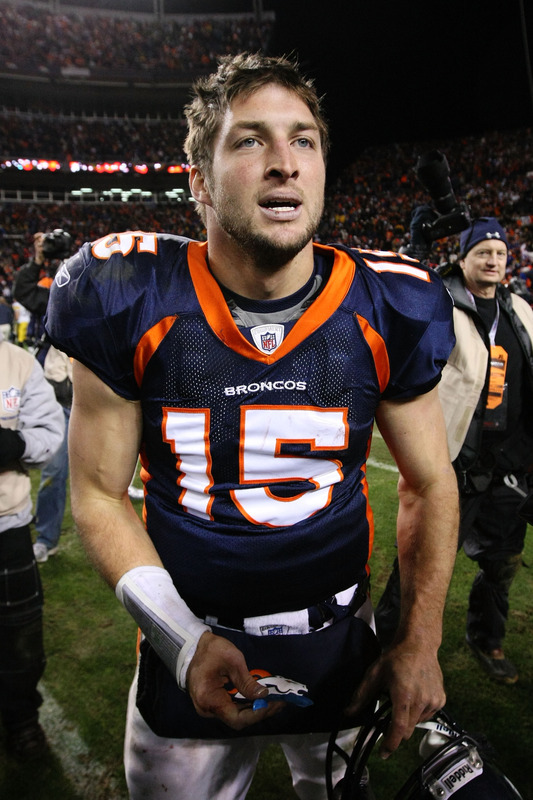 Tim Tebow, whose stature as a football and social phenomenon was built on the foundation of fourth-quarter comebacks, completed a 20-yard pass that Demaryius Thomas turned into an 80-yard touchdown on the first play of overtime Sunday, giving the Denver Broncos a 29-23 upset of the Pittsburgh Steelers in their A.F.C. wild-card game. The Houston Rockets have not looked good. 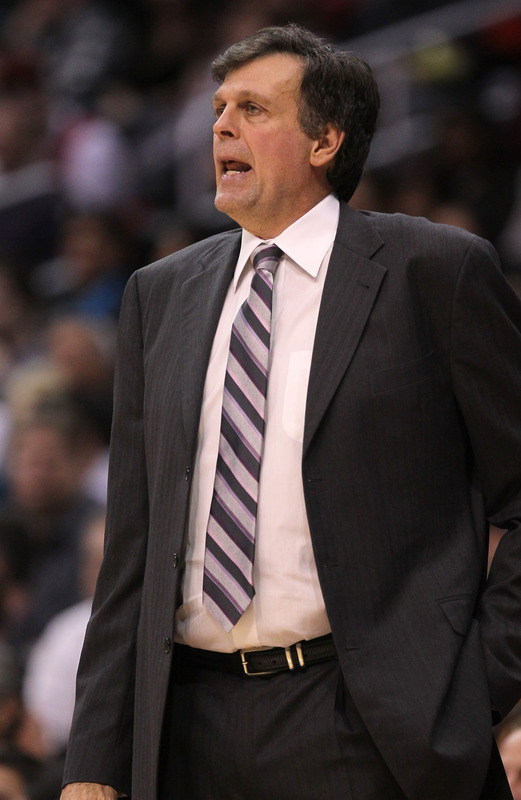 Houston Rockets' coach Kevin McHale is taller than Frankenstein. But there are some significant problems with this Rockets team that opposing teams have exposed in the first six games.The biggest problem (bizarrely, for the Rockets) is the offense [edit: okay, maybe it's the defense]. There are other problems with the Rockets, definitely: Scola’s rebounding numbers are way down, Lowry’s is really awesome but his turnover numbers are dangerously high, and Jordan Hill seems to be our best non-Scola big man right now. But the single biggest difference between the 2011 Rockets (winning record!) and the 2012 Rockets (we’ll see!) is the offense. The New York Jets looked pretty bad while their season was ending. Santonio Holmes acted like a baby according to some NY Jets. Some teammates reportedly called Holmes a cancer to the team that quit weeks ago. They also compared his behavior to that of a 10 year old child. LaDainian Tomlinson, for one, was not afraid to speak his mind. Baylor defeated Washington in the Valero Alamo Bowl. The game saw 17 TDs and 123 total points. The teams combined for 1,397 yards of total offense, which broke the FBS bowl record. The previous high was 1,211 yards, set by Arizona and Rutgers in the 2005 Insight Bowl. The 123 points scored were the most in bowl history in regulation. The 17 total touchdowns were also a bowl record. The 123 points were 40 more than any previous Alamo Bowl. The all-time record was 125 points, but that was a double-overtime game between Marshall and East Carolina in the 2001 GMAC Bowl. The two teams tied a bowl record with 12 rushing touchdowns. They’re tied with Texas Tech and Air Force in the 1995 Copper Bowl. The 64 second-half points tied a bowl record. Baylor’s 777 total yards of offense is a bowl record, breaking Arizona State’s record of 718 in the 1972 Fiesta Bowl. 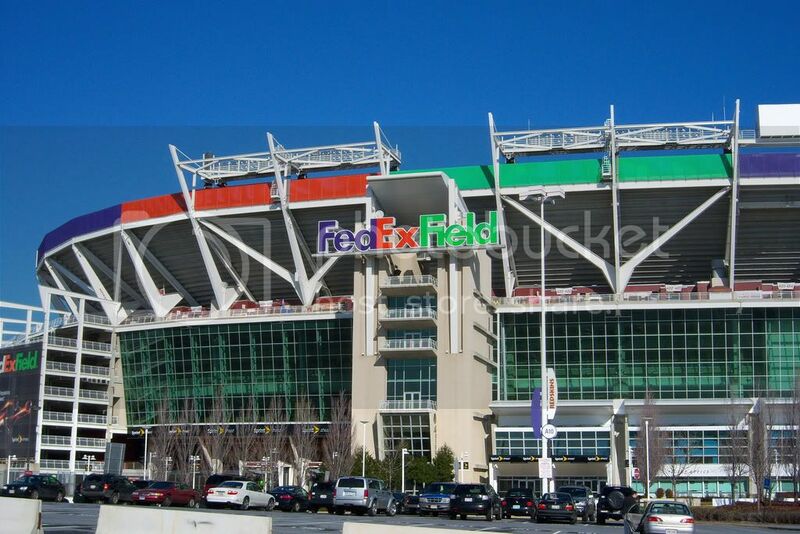 Not a bad way for RG3 to go out, if he does indeed enter the NFL draft. Baylor’s 67 points were also a bowl record. Baylor’s eight rushing touchdowns tied a bowl record. Bears running back Terrance Ganaway’s five rushing touchdowns tied a bowl record for both rushing touchdowns and total touchdowns scored. Washington QB Keith Price’s seven touchdowns accounted for a bowl record, as did his 42 points. Four other players held the previous record, with six touchdowns and 36 points. The 59 first downs between the two teams was three short of the record of 62, set by NC State and Kansas in the 2003 Tangerine Bowl. The two teams were just short of the FBS record for points in regulation, set at 136 points in a 74-62 Navy win against North Texas on Nov. 10, 2007. It’s the return of the NBA! It's a Christmas gift from the NBA today!